Directional Drilling (sometimes referred to as Slant Drilling or Horizontal Drilling) is similar to Vertical Drilling in many ways. What makes Directional Drilling different is that by using this method, you can normally extract more resources from a single insertion point or “well head”. 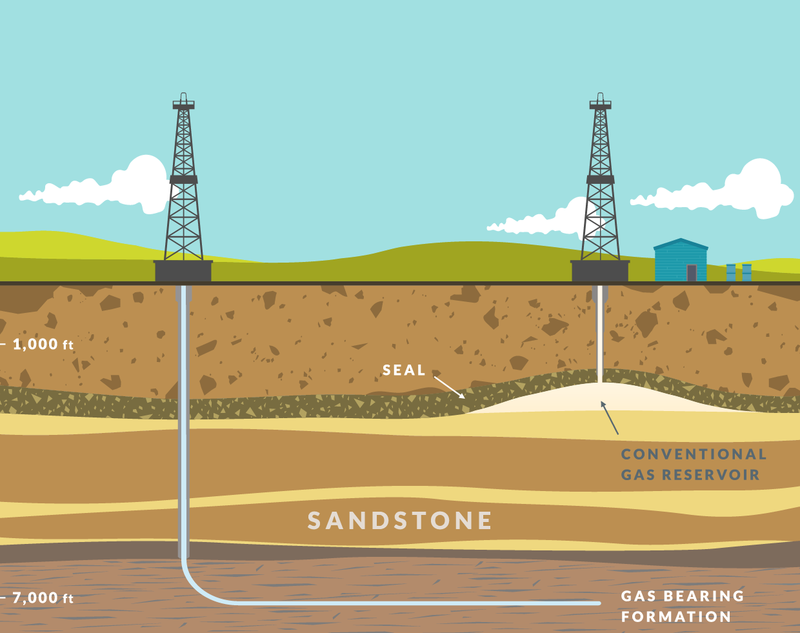 Vertical Drilling operations are limited to the relatively small extraction point that exists directly beneath the surface hole, while Directional Drilling allows energy professionals to create one insertion point but cover “more ground” in the extractable area. 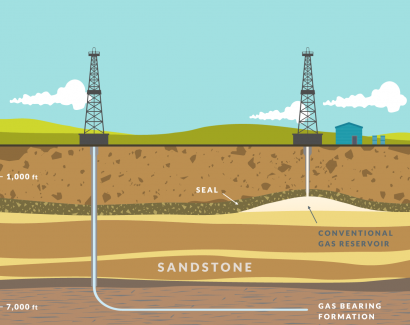 Directional Drilling is often more efficient and environmentally-conscious as it can provide more yield than a Vertical Drilling operation, but limits the surface impact and groundwater Contamination as it only drills through fragile parts of the surface once.